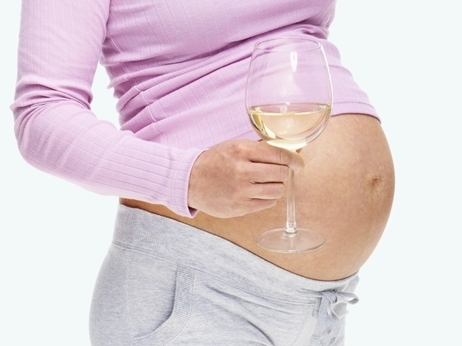 Is the occasional glass of wine or beer OK for moms-to-be? According to a new study published in BJOG: An International Journal of Obstetrics and Gynaecology, there doesn't seem to be any measurable risk. The study found that drinking up to two alcoholic beverages per week during pregnancy is not linked to developmental problems in children. But even the study's authors caution that abstaining from alcohol is still best for mothers-to-be. The research was done at the University College London, using data collected as part of the Millennium Cohort Study. The researchers looked at about 10,000 children born in the U.K. between 2000 and 2001. When the children were 7 years old, they were given math, reading and spatial skills tests. And parents completed questionnaires about the children's emotional and social development. The researchers found that children born to women who consumed a little alcohol during pregnancy had higher test scores on some tests compared with children of nondrinkers. But the researchers conclude that most of these differences were too small to be statistically significant. "While we have followed these children for the first seven years of their lives, further research is needed to detect whether any adverse effects of low levels of alcohol consumption in pregnancy emerge later in childhood," professor Yvonne Kelly, of the International Centre for Lifecourse Studies (ICLS) at University College London, and co-author of the study, said in a statement released by the journal. The Department of Health in the U.K. recommends that pregnant women avoid alcohol altogether. But if moms-to-be do choose to drink, the government's advice is "to not have more than one to two units of alcohol once or twice a week, and not to get drunk," according to this U.K. government site. Under the British government's definition, a small 4-ounce glass of wine is about one-and-a-half units. Experts on fetal alcohol syndrome in the U.S. aren't so convinced by the new findings. "Failure to see an effect doesn't mean that there isn't one, or that drinking in pregnancy is safe," says Dr. Robert Sokol, director of the C.S. Mott Center for Human Growth and Development at Wayne State University, in an email to The Salt. He explains that the ability to detect effects of low levels of alcohol exposure depends largely on what's measured. Another shortcoming of the study is that people tend to under-report alcohol consumption when they're questioned about it, says Dr. David Garry of the Albert Einstein College of Medicine at Yeshiva University. And in this study, women weren't asked to recall how much alcohol they drank until their child was 9 months old, so memories may not have been so clear. It's "not a convincing study," says Garry. "If a woman has had some drinks in pregnancy, I would reassure her that the [child's] development is likely to be normal," writes Garry in an email to The Salt. But overall, he says, drinking does pose a risk and should be avoided during pregnancy. Robert Sokol agrees. "It's still the case that it's safest not to drink during pregnancy," Sokol says. What soda does to Our Bodies!! !